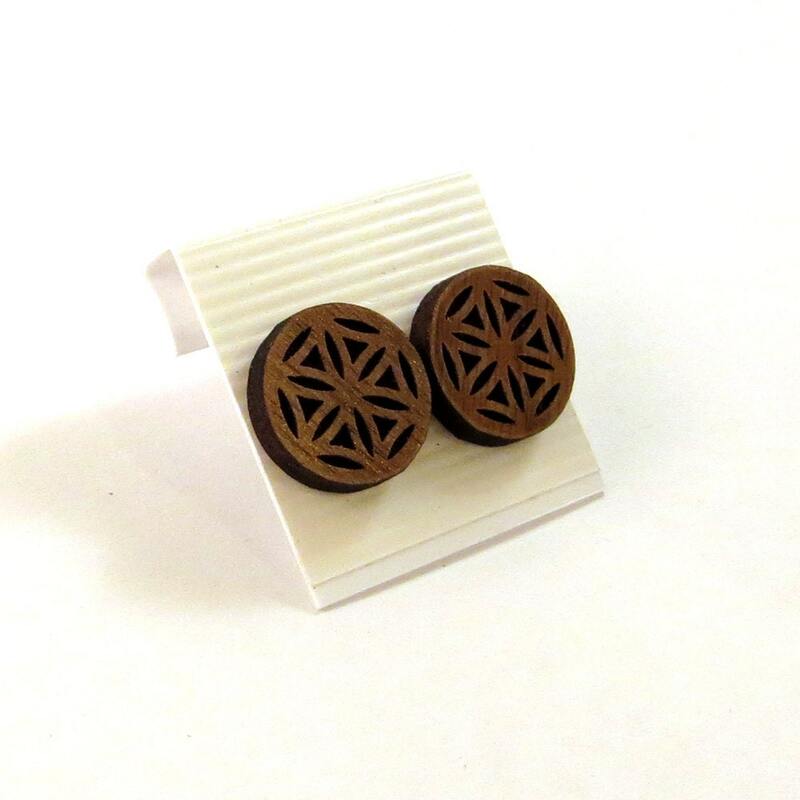 Flower of Life design (0.5 inch) in walnut. Made of Walnut that is sustainably harvested from the Appalachain Mountains with a growth to removal ratio of 2.29. 100% USA grown. Verified sustainable by AHMI.